Intuitive Colour and Hand Dyed Forays! I LOVE self striping yarn. Especially when I can turn it into a pair of tough cosy socks that will keep my feet happy through the winter and brighten up my day. 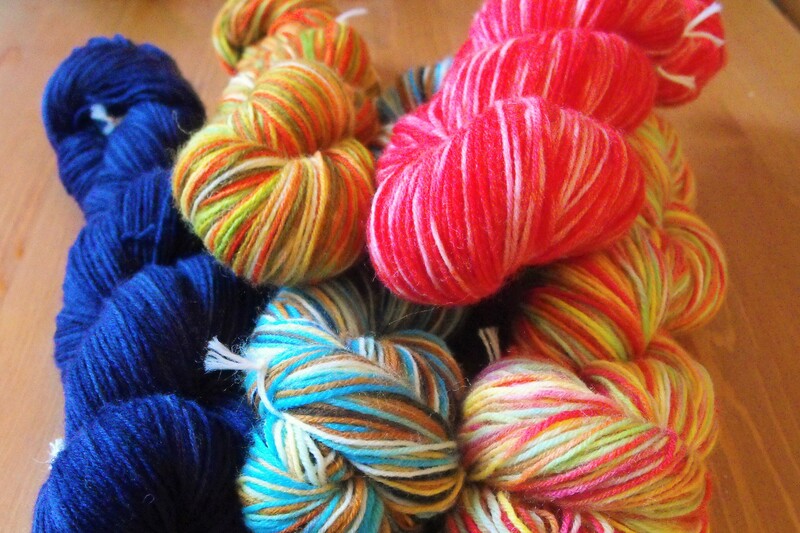 For a long time, I’ve been thinking how lovely it would be if I could create my own hand dyed yarn. 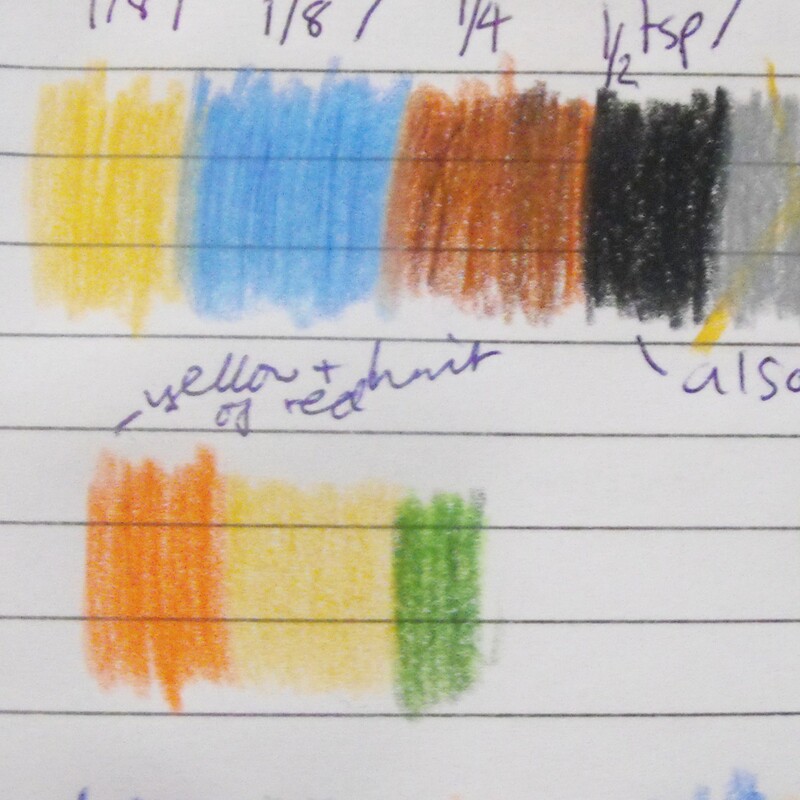 I have been playing with concentrated food dye which produces some lovely painterly effects during the setting stage, and in the last couple of weeks I have started to experiment with acid dyes. In other news, I’ve been spinning away, really enjoying the wooly process of carding, spinning and cleaning the Spelsau lambswool I bought at the Knitwork festival in Copenhagen a few weeks ago. This is the first batch of yarn which I chain plied, and although I love the texture of the yarn, I get the feeling that a 2-ply might suit the nature of the fibre better. I have 2 more bobbins waiting to be plied at the moment, so I’ll see how it turns out. 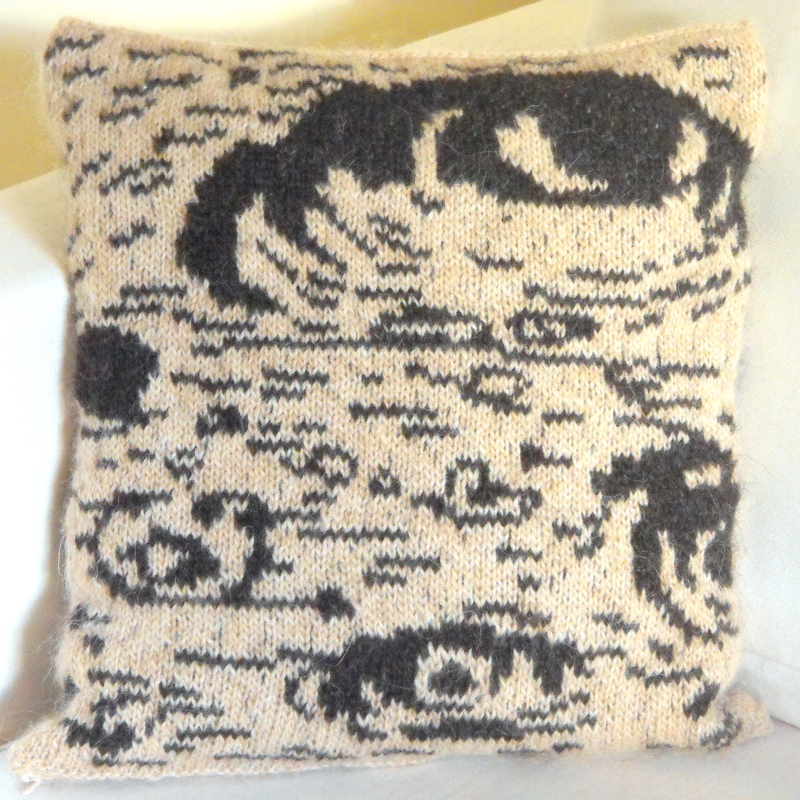 Knitting-wise it’s getting to that time of year….to make or not to make the christmas presents! Well, it seems already like I’m going in that direction, but there will be no sharing of those projects ’till the new year ;) Before all that started, I managed to make myself a Sockhead hat by Kelly McClure- finally using up a skein of odd pearly grey and lilac yarn that had been sitting forlornly in the stash for some time. Sockhead is an excellent pattern and super popular- just the right amount of snug in the ribbing, and with long and short versions available (I made the short one). This entry was posted in Knitting, Spinning and tagged chain ply, choosing colours, Colour inspiration, colour palette, Hand Dyed Yarn, hand dyed yarn at home, Handspun, Håndarbejde, Knitting, Painting, self striping yarn, Sketchbook, Sock Yarn, Sockhead, spelsau wool, Spinding, Strik. Bookmark the permalink.